Dateline - Saint Petersburg, Florida. Back in the day, like so much of old Florida, Saint Pete, where I lived and worked for five years in the early 2000's, was getting long in the tooth. Then, in the early 1990's, a renaissance began and brought this small enclave of condos, marinas and foot friendly parks and walkways into the twenty first century. When we lived there, we enjoyed the weather, great music and entertainment venues and the best airport on the planet. Living in God's Country here in North Florida gets very tedious around January and February. Overcast skies, rain, cold and absolutely nothing to do makes one antsy at best and ornery at worst. So, it's only natural that any vagabond worth his or her salt would long for warmer climes and something - anything - to do. For some time now, we have talked about revisiting one of the few places we have lived to see the new DALI Museum and, this time of year, enjoy the always great weather in the little city by the bay. So, we decided to pack a few things and head south to our old stomping grounds for a little culture, some great food and warmer temperatures. The three day road trip did not disappoint. As I started planning our trip to see the father of surrealism, eat some great food and bask in the warmth of the Florida sun, finding a hotel became a challenge. First, this time of year is very busy due to the snowbirds, with money to burn, coming south from Minneapolis, Newark and Buffalo to enjoy spring baseball and great weather. People from that part of the country are a demanding lot and tend to play a significant role in the cultural clash between know it all "Yankees" and people who just don't get in much of a hurry. One guest in the lobby of our hotel could not understand why the parking valet did not automatically take his one bag to his room. Kind of pushy and kind of a pain. As Georgia native Lewis Grizzard, the author of such classics as "Elvis is Dead and I'm Not Feelin' Too Good Myself" said - "We don't mind you eating our food or dating our women, we just don't wanna to know how you do it in Cleveland". Second, while Saint Pete is a beautiful small city, complete with repurposed buildings of many vintages, many green spaces and parks and numerous great restaurants, its selection of hotels leaves a bit to be desired. 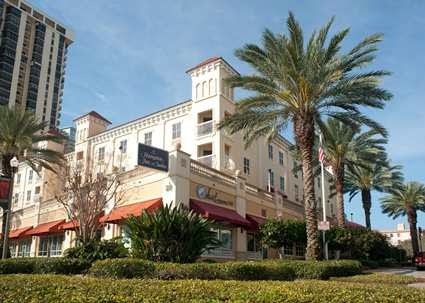 My original plan was to stay in the renovated Vinoy, a Mediterranean Revival hotel originally built in 1925 and completely renovated in the 1990's for the princely sum of $93 million. It is now a Marriott property. However, when I went to check for reservations, I was stunned at the price of $369 per night. As a true vagabond and lover of small hotels, I just couldn't bring myself to pay that much for a room at a Marriott. So, I kept looking and found a much more reasonable room at - close your ears - the Downtown Hampton Inn. That's right, this blogger of all things great and small in hotels - this loather of chains - actually stayed in the Hampton Inn on Beach Boulevard in little ole Saint Pete. Before you say shame on me, consider this - the Hampton is Trip Advisor's No. 1 rated hotel in Saint Pete. In addition, it is in a great location with 40-50 restaurants within easy walking distance and, with 92 rooms, it has all the things you expect in a high quality, small hotel. A decent, well outfitted lobby greets guests. Our room boasted a nice subtle interior color scheme, an ample sitting area with a small couch and easy chair, a small in-room bar with sink and fridge, a great bed and a balcony to enjoy the weather. The staff was excellent and the price was not earth shattering. One exception - chain food is chain food. We just couldn't bring ourselves to chow down on the corporate microwaved munchies at breakfast. Moscato's Bella Cucina: Very diverse menu and a great wine list. It was packed on a Sunday night! This place is a keeper for Italian food lovers. Cassis American Brassiere and Bakery: Great breakfast, great bakery and ridiculous gourmet ice cream. The peach will set you free! Ceviche Tapas Bar & Restaurant: A great way to test your palette with a menu of everything. Excellent choices for munching dozens of different foods from egg plant to stuffed pork. The interior is elegant old school too with excellent tile work and metal sculpture. 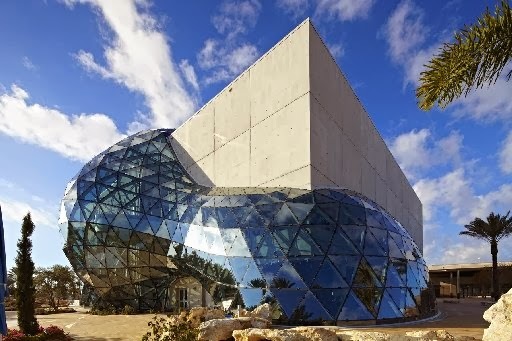 The primary reason for our sojourn to Saint Pete was the newly constructed Salvador Dali Museum. Since our hotel was centrally located, we walked the few blocks to the building which houses the largest collection of works by the famed surrealist outside of his native Spain. 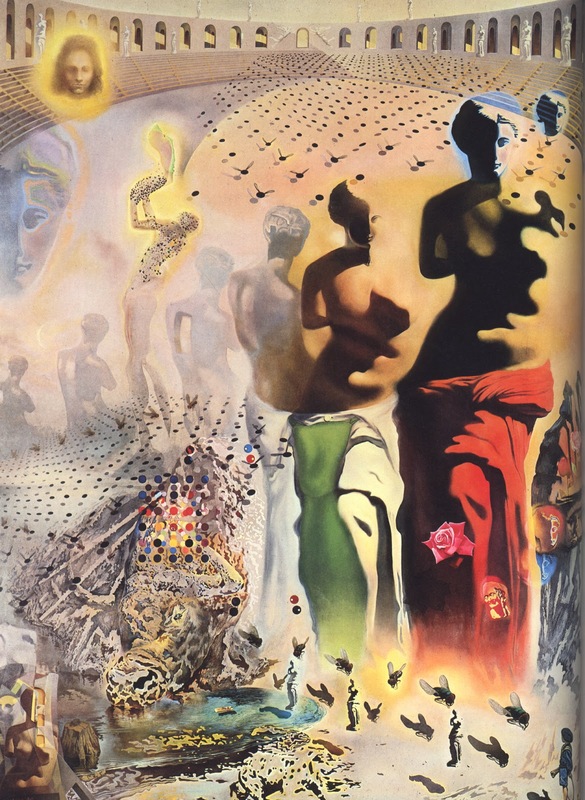 The story of how the City of Saint Petersburg came to be the gate keeper of this large collection of Dali paintings is one of the most improbable in the world of fine art. 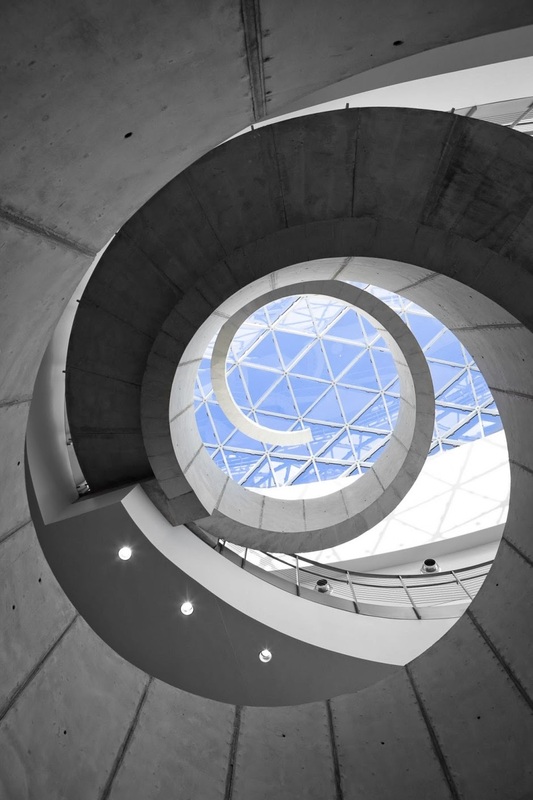 "Designed by architect Yann Weymouth of HOK, the new building combines the rational with the fantastical: a simple rectangle with 18-inch thick hurricane-proof walls out of which erupts a large free-form geodesic glass bubble known as the "enigma". The "enigma", which is made up of 1,062 triangular pieces of glass, stands 75 feet at its tallest point, a twenty-first century homage to the dome that adorns Dali's museum in Spain. Inside, the Dali houses another unique architectural feature - a helical staircase - recalling Dali's obsession with spirals and the double helical shape of the DNA molecule." The Dali, a cutting edge building housing some of the most thought provoking, masterfully created paintings, sketches and water colors ever created, reminds us of the life enhancing power of great architecture, the mother art, and other great works of art. From the massive Hallucinogenic Toreador, full of personal symbolism, to the religious vision of St. James of Compostela to the many smaller works by this master surrealist technician, you realize why we must have the true creative adventurers lead us to make our own vision brighter and more profound. In addition to the great works of Dali, the museum also featured a small show of works by Andy Warhol, proving that modest talent, great marketing and timing can take you places in the art world. If Warhol had been a pop song writer instead of a pop artist, he would have been know for having "great hooks", lyrics and music that pull you into a song, but, don't necessarily affect you on any meaningful level. I don't care how many varieties of soup cans Warhol painted, Dali he aint'!! But it was an interesting counterpoint to the genius displayed in the main galleries. 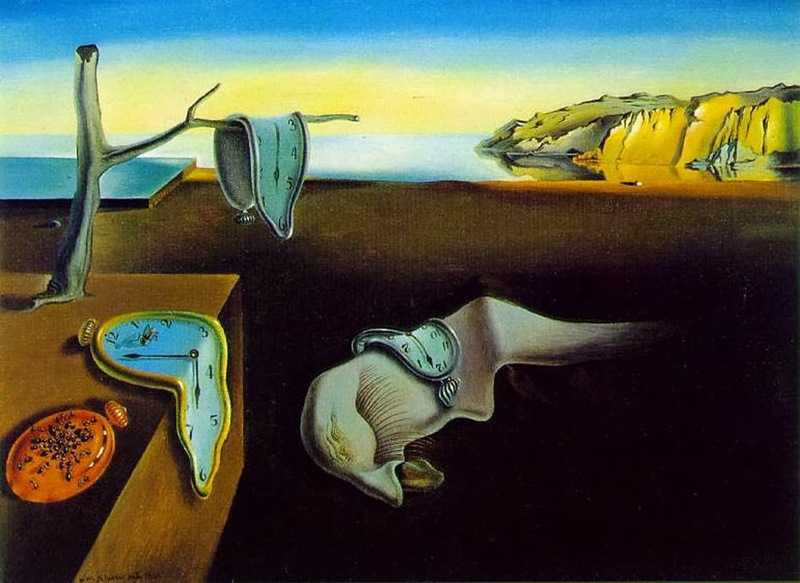 So, if you need a breather from the low temps, unending rain or snow and boredom of late winter, head down I-75 to Tampa Bay and check out the cool little city of Saint Petersburg, the Dali and one of the truly great collections of art in the world. You will be a Blue Nomad No More. Video Artist of The Week - Hot Chicks Playing Hot Strings - BOND. This quartet of classically trained fiddlers brings a new approach to classical music with infusions of rock, jazz and pop. I saw this unique group perform at the famous Mahaffey Theatre in Saint Pete, considered by many to be Florida's most acoustically perfect performance venue. Another good reason to visit the little city by the bay. That's right, the books are indeed square. I promise - this is the last time. My annual YOU HAVE TO GET THESE BOOKS IF YOU ARE A SERIOUS NOMAD, VAGABOND OR WANDERER AND SEE SOME OF THE COOLEST HOTELS ON THE PLANET shameless book plug. And I don't even get a commission. I have sung the praises of this great book series since the first day I started this blog. As a matter of fact, the first one I bought helped inspire me to share my erudition about great travel and design some two years ago. 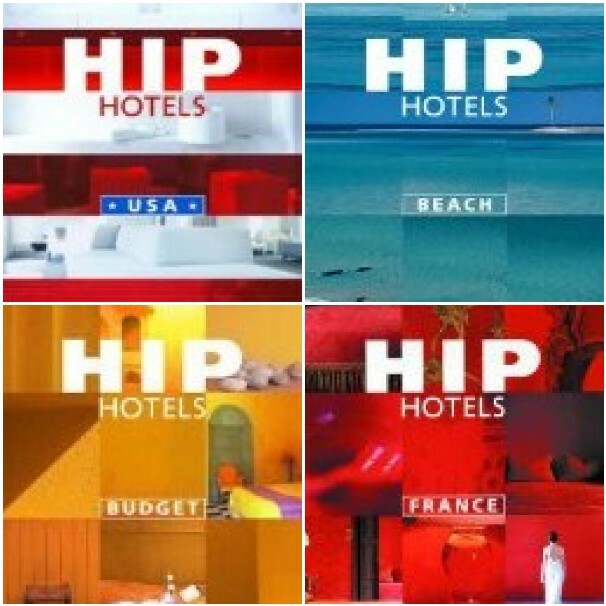 I have since bought most published editions of this superbly illustrated book series featuring hotels of extraordinary design, from repurposed ancient ruins to cutting edge modern spaces, by some of the most talented designers working today. More often than not, these two extremes are combined in innovative and thoughtful ways to create some of the most unique places to lay your weary head. I have stayed in many of the featured hotels and have yet to be disappointed. 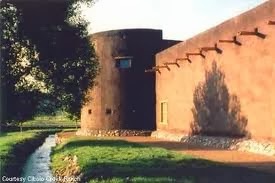 This is the only series of books where you can get the skinny on places to drop anchor as diverse as the one of a kind Cibilo Creek Ranch , a small boutique hotel/resort in a repurposed fort built in the Big Bend of West Texas amidst 30,000 acres of haunting natural beauty. We enjoyed the expertly prepared food at the grand table along with the other guests. Or the Vecchio Molino, Umbria's answer for those who want to sleep in another time and another place. You can still see the rushing water from the old mill through the floor of the main social space. 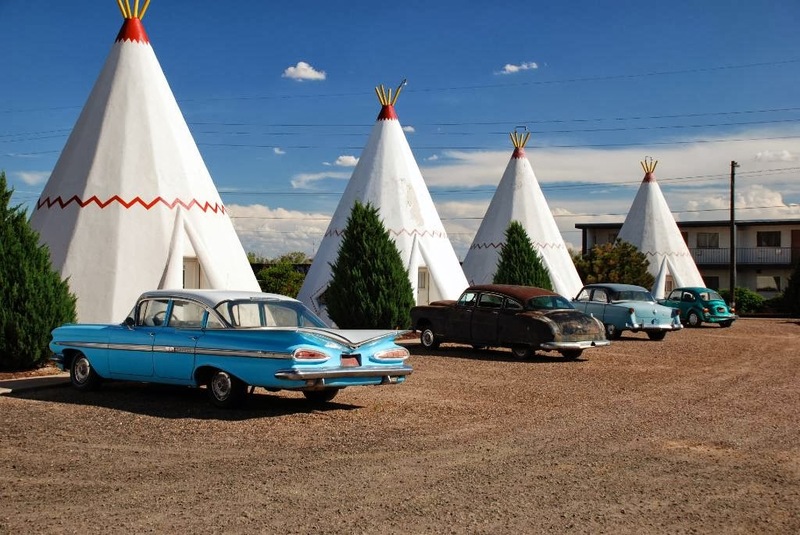 And for the truly adventurous, you can check out the Wigwam Motel on Old Route 66 in Holbrook, Arizona for a paltry $56 per night. In my humble opinion, no serious traveler who desires to stay in really cool places off the beaten path should be without these great books. You Can Get A Great Travel Book & A Coffee Table Book In One For A Song! The newer editions of this series are in the $30 price range. They are worth every penny, as they are not only a great travel resource but look really great on your coffee table. The photographs and descriptions are a delight to the eyes as well as the intellect. Lay one of these on your Noguchi glass original or retro knockoff and your guests will know beyond any shadow of any doubt that you are a highly urbane and sophisticated aesthetic vagabond. Recently I was doing some travel research for some upcoming trips we were planning and stumbled across the travel book deal of the year. Holy galloping globetrotters!! You can get most of these great books on AMAZON for one red copper penny. That's right - one cent. Most have shipping of $3.99, so you are getting a great travel book for a scant four bucks total. In this world of overpriced everything, these deals should make even the most frugal shopaholic positively giddy. Most of these books are used, but, at a penny plus shipping, who's going to quibble? Some are a little more and, as I stated earlier, the more recent ones are pricier. Now, you must be asking yourself - What about the fact that some of these books are older, some going back to 2001? So, caveat emptor. Do your homework, as any Nomad should. Use these great books as inspirational starting points to find some truly amazing places to sleep. Use the internet to check out the web sites and review sites to calm your jitters about a place that was featured before you became the wise vagabond you are today. Of course, like all hotel books, bundle sites and reviewers, the prices listed in the book are largely irrelevant. But, all in all, these are great books for the serious traveler for whom design is a big deal. Just in case you are wondering about the credentials of Herbert Ypma, the photographer and writer of this excellent trip through the best of the best. Don't worry. According to the short bio, Mr. Ypma has lived on three continents and visited every state in the USA by the age of thirteen, except Alaska and Hawaii. I think this guy knows of what he speaks. And he covers everything you ever wanted to know about amazing places to sleep. 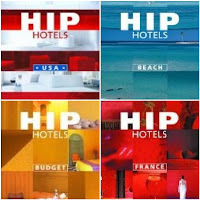 The books cover countries, cities and unique categories, including Hip Hotels USA, France, UK, Italy, Orient, New York, London, Paris, Budget, Escape, City, Beach & Ski. Finally, they have a Hip Hotel Atlas, which includes many of the places in a massive coffee table book which will impress even the most jaded tour weary traveler. You can read more about this compilation in an earlier post, Vagabond Alert No. 16 - If You Are A Serious Aesthetic Vagabond, Buy This Book. Finally, after you have perused all of the cool places you want to stay, you can checkout The Hip Hotels Web Site, where you can sign up for a newsletter or read timely information about newly discovered great hotels. And, of course, if you are new millennium hip vagabond, they have a great app for your mobile device. Video Artist of The Week - The Beatles - John, Paul, George & Ringo. If you don't know them and, even worse, if you don't like them - Well, that would be just a pity now wouldn't it? Fifty years ago this week - From 1964 - Ed Sullivan - All My Lovin' to Get Back on The Roof 1969, their last performance. Six Years. Twenty No. Ones. 500 million records sold. Simply put. The greatest pop/rock band of all time. Gator Bowl/World Tour 1964 - 9th grade - I was there. I didn't get my hair cut for two months. 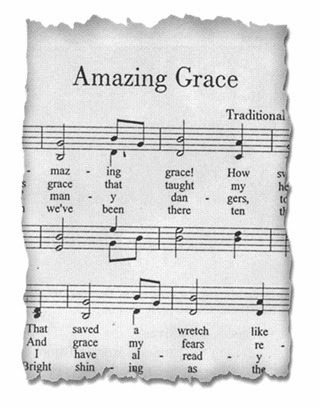 "Amazing Grace" is one of the most recognizable Christian hymns in the English-speaking world. The text by English poet and Anglican clergyman John Newton (1725–1807) was first published in 1779. The words describe in first person the move of a "wretch" from a "lost" to a "found" state by a merciful act of God. Over 6,000 recordings of this ancient song have been made. From Ray Charles to Johnny Cash to Il Divvo to Arlo Guthrie at Woodstock, no less, this hymn of power and belief has become an anthem to lost souls and believers of every persuasion. This version captures the essence of the great lyrical beauty and the soulful quality embodied in this timeless gospel classic. In a word - it's amazing! I'd like to teach the world to sing, indeed - Enjoy! So Exactly How Do You Plan To Vagabond in the 14th Year Of The New Millenium? thenomadArchitect. Simple theme. Powered by Blogger.